How To Reduce The Stress When Moving from House? ⋆ Detailed! If you have ever gone through the housing moving process, you will agree it’s a very daunting life event, both emotionally and physically. A poll was carried out recently and moving house topped the stress list of two-thirds of the people that voted. It was revealed that it triggers more anxiety than starting a new job, divorce and relationship breakdown. It’s one of the most stressful experiences in life at it largely involve coping with change. 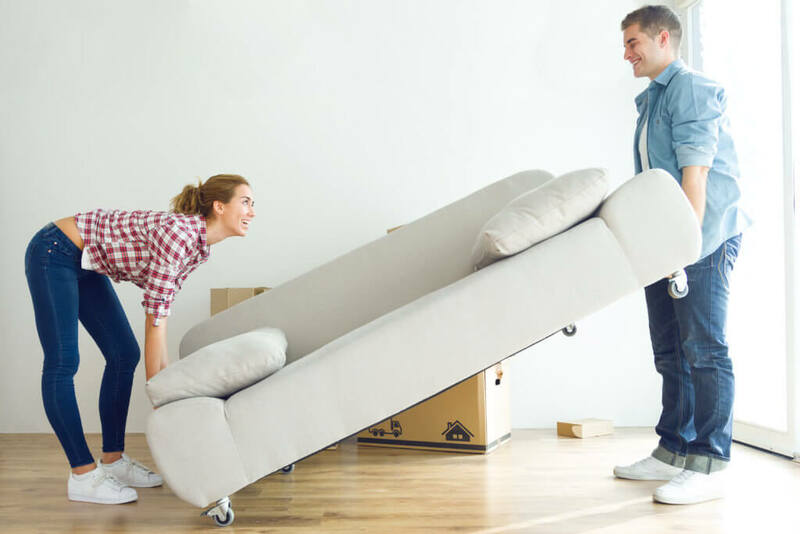 Moving house signifies a transition in a person’s life, it’s about unfamiliarity and change and this causes anxiety and stress for many people. Majority of us like order, routine, and familiarity. There are none of these things when one is moving. Additionally, a ripple effect of change occurs throughout your life. It is not as simple as just changing your residence and getting familiar with the new one. Most times, you’ll be in a whole new area, you need to change your children’s schools, find a new way to get to work, get a new dentist and GP. It is perfectly normal to feel anxious or stressed. “It is an understandable reaction and not signifying weakness”, says Ms. Lidbetter. “Underlying mental health conditions like OCD, depression, and anxiety can be triggered by uncertainty, upheaval and lack of order that usually surrounds a move. University of Central Lancashire’s senior psychology lecturer, Dr. Sandi Mann agrees. She said, “Moving house is most times a very challenging experience.” She further stated that it’s a big upheaval and as we humans are naturally territorial creatures who like routine and familiarity, a lot of chaos and uncertainty is created in our lives when we move. Moving often put the strain on relationships and families. Trisha Goddard, a TV personality and also a mental health a family resolution activist, is familiar with the stresses. She revealed that apart from moving house with little ones, she had also relocated to another continent before. She explained, ” Parents usually feel guilty about moving children from their home and friends – you should however not forget the potential impact moving can have on you”. In order to reduce your stress levels, accept all the help you are offered. Proper preparation can also aid in reducing stress levels. Anything you can do in advance, do it. You can change your broadband to your new residence, plan how the furniture will be arranged in advance, register with a GP in the new area, etc. This will help you feel more controlled and less overwhelmed on an actual day. No matter how much work there is still to do, it important to occasionally take a break. Also, try to remember the reason you made the final decision. It may be because you are moving to a more beautiful area, or to a bigger house, nearer family, and friends. Constantly remind yourself the reason all the effort will be worth it in the end. Dr. Mann said you can also feel calmer by doing some easy breathing exercises. Anxiety UK advises using some mindfulness techniques to assist in dealing with anxiety and stress. Nicky Lidbetter says you should check out the Headspace mindfulness app. “Spend time away from the move. Just 10 minutes a day can be beneficial. However, if you start noticing symptoms such as the inability to concentrate, mood swings, sweaty palms and a racing heart, these signs indicate professional help may be required in dealing with your anxiety and stress level. Perhaps, you should see a counselor or a psychologist. It is important to remember that feeling overwhelmed is a normal thing. Moving house has been listed as a huge life stressor for probably a good reason. Look after yourself and know that it is normal to feel worried and have sleepless nights before and after moving house.